From my personal observations, I think Malaysia is still trying hard to adapt and get used to what happened after May 9 this year. It isn’t easy coming to terms with the fact that change has happened in a country that has never seen a change since independence 61 years ago. 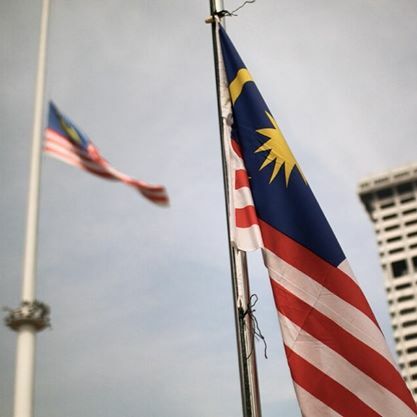 It would seem like Malaysians are now deeply divided about how they think the country should move forward ever since the kleptocratic BN government lost and the new Pakatan Harapan government has now become the ruling party, giving many people ‘hope’. When I say that Malaysians are divided, I don’t mean it in a very concerning way as if we are a polarised society (although there is that, as we all know). All I’m saying is that there are common groups of people based on what they think should be happening with the new change. That’s all. The first group of people are those who have always supported BN and they continue to support the coalition. They will defend the party and their stand no matter what happens. These are the die hard supporters. Elly Suriaty Omar comes to mind. It’s either they are totally blind by the fact that their party (which, honestly, really is just Umno) has problems that make them an irrelevant party today, or they have just been reaping too much benefits that they can’t see any other way to live their lives. I met one of them recently, who happens to be a friend. I had not seen him since the elections and when I bumped into him at a shopping centre recently, we greeted each other cordially (we were college mates so that means we’ve known each other for more than 20 years). I commented on how he had lost weight (I was sincere!). He laughed and said that it was because his party was no longer the ruling government, hence he isn’t fat anymore. He added that we have to wait a bit and see if any Harapan members will start getting fat soon. The second group of people are those who were BN supporters before and then now, all of a sudden, they have switched camps. These people make all kinds of excuses to justify themselves. Individuals that come to mind would be Tony Fernandes and Michelle Yeoh. These people can come off as opportunistic and just want to pander to the power of the day. Mainly, they’re just thinking of themselves and how best to prioritise their self-interests. Personally, I find these flip-floppers quite harmless, but they are very annoying. The third group consists of those who have always been anti-BN and full on Pakatan Harapan/Rakyat supporters. These people are quite similar to the first group. Their support is almost blind and unconditional. In their eyes, Harapan can do no wrong and are divine. Any wrong-doings or mistakes committed by the party will quickly be countered with an excuse and justification as to why there is nothing wrong with it. What? Lim Guan Eng’s corruption case regarding the bungalow he bought in Penang below market price was dropped? Oh, nevermind! The fourth group of people are those who have totally lost faith in the new government because they haven’t achieved every single item in their 203-page manifesto in this short span of six months. It doesn’t matter if the problems that exist have been around and been reinforced for 61 years. These people feel that every single problem that exists in Malaysia needs to have already been solved as soon as the new government takes power. By hook or by crook, they need to do something about everything immediately or else they would have disappointed everyone. What? The education system is still too exam-oriented? The Klang Valley still suffers from massive traffic jams? Cancer hasn’t been cured? My toilet is still plugged? What the hell has the Harapan government been doing all this while? Ineffective buggers! And then there is the fifth group. These would be those who never gave a damn about politics and have been apathetic all this while, right until May 9 happened and they suddenly saw how everyone became so excited. Nevermind that they didn’t even vote, they are just super into politics now. Just like the second group that I mentioned, they are pretty harmless. But of course, they are annoying as hell – posers. And since politics is suddenly cool now, there will be many of them jumping on the bandwagon and pretending to be interested in it. Oh well, I guess all this is only natural. We have to be patient with the transition process and allow Malaysians to slowly grow and mature together with a political situation that, finally, is also starting to grow and mature. In the meantime, we need to just bear with the puberty and teenage angst phase of it all.